JOHNSON CITY, TN - With the series tied at one, the Cardinals looked to end their season on a high note with a win over the Kingsport. 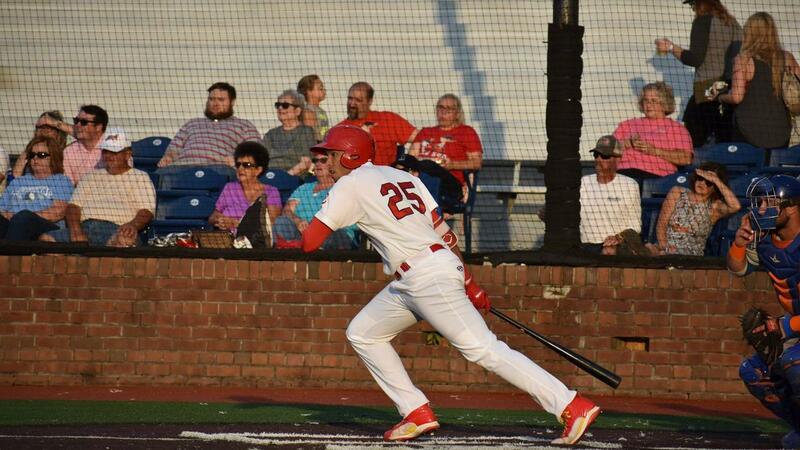 The game was close until the bats for the Cardinals came alive late and the Cardinals pulled away with a 6-4 win over the Kingsport Mets. The Mets drew first blood, scoring one in the first and one in the top of the third. The Cardinals came storming back in the bottom of the third with three runs. With one out, Andrew Warner singled and moved to second on a Leandro Cedeno groundout. Dariel Gomez singled to score Warner and pull the Cardinals within one, 2-1. Then Liam Sabino blasted a two-run homerun (3) to give the Cardinals a 3-2 lead after three innings. The game remained 3-2 until the top of the seventh when the Mets tied it with one run. However, Johnson City answered right away in the bottom of the seventh to retake the lead 5-3. Andrew Warner led off the bottom of the seventh with a single and Leandro Cedeno followed up with a walk to put runners on first and second. Dariel Gomez then doubled (8) to score Warner to give the Cardinals a 4-3 lead, but Cedeno was thrown out trying to advance to third. During Liam Sabino's at-bat, Gomez advanced to third on a wild pitch and then scored on a balk to make the game 5-3. Dionis Zamora got the start for Johnson City. Zamora pitched five innings, allowed four hits, one earned run, two walks, and notched five strikeouts. The Mets and Cardinals again traded shots scoring one run apiece in the eighth inning. Leading 5-4 heading into the bottom of the eighth, Brian Sanchez doubled (2) and Luis Flores walked to put runners on first and second. Michael Perri singled to load the bases and Brian Sanchez scored when Andrew Warner grounded out and the scoring would end there. The Cardinals would win their season finale 6-4. The Cardinals used three pitchers after Dionis Zamora. Juan Alvarez was first out of the bullpen. Alvarez threw two innings, allowed three hits, one earned run, one walk, and notched three strikeouts en route to his third win of the season. Michael Brettell was second out of the bullpen, pitching one inning, giving up one hit, one earned run, and one walk en route to his third hold of the season. The final reliever was Evan Sisk. Sisk pitched one inning, and notched two strikeouts en route to his fifth save of the season. The Cardinals want to thank all of their fans for their support during the 2018 season. To keep up-to-date on all things Cardinals check out jccardinals.com for other events at TVA Credit Union Ballpark throughout the offseason. 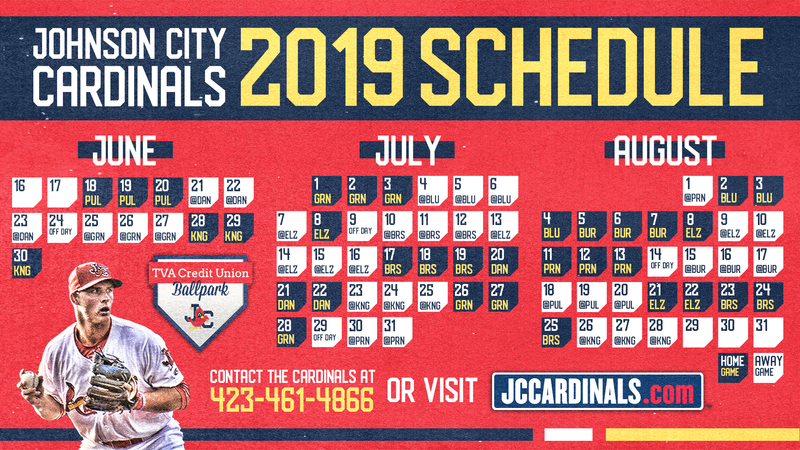 For information about the 2019 season and tickets, you can also go to jccardinals.com or call the Johnson City Cardinals front office at (423) 461-4866.